LAS VEGAS, NEVADA (February 5, 2013) - Digispec® reached a remarkable milestone this year with the celebration of its 30th anniversary while simultaneously being honored with a PPAI 2013 Supplier Star Award at the PPAI Expo in Las Vegas in January. "We have always been driven to provide outstanding customer service and quality products with reliability, all of which are keys to our success" explained Paula Piano, director of sales and marketing. "But, we are most thankful for our loyal distributors who have helped us accomplish both of these achievements this year." Digispec® got its start in owner Ed Hamilto's suburban California garage and has grown to more than 159,000-square-foot manufacturing facilities across three states. More than 300 million mouse pads have been produced over the last three decades yet Digispec® continues to develop creative and new ideas including the introduction of its newest products like the DuraTec® durable backing and the brighter white SoftTouch® pads. 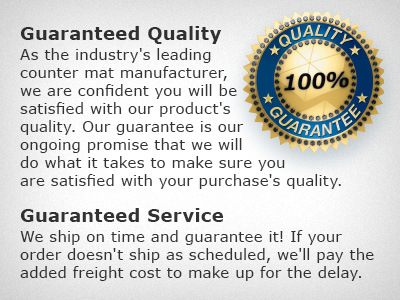 Founded in 1983, Digispec®, a manufacturer of custom mouse pads, uses state-of-the-art equipment and quality American-made materials. When the company purchased Minneapolis-based XJD Corp in 2002 and acquired Linden, Utah-based DataPad 2003, it became the largest mouse pad manufacturer in the promotional products industry.